Using SSL with some AWS resources such as CloudFront or Elastic Load Balancer can be tricky to setup - particularly if you arrive from a Windows background. In this article we look at how we can take an SSL certificate from IIS and upload it to IAM on AWS to allow it to be used for other services. To get started we need an SSL certificate. Keeping with the theme of this post we will get ours by exporting it from IIS. 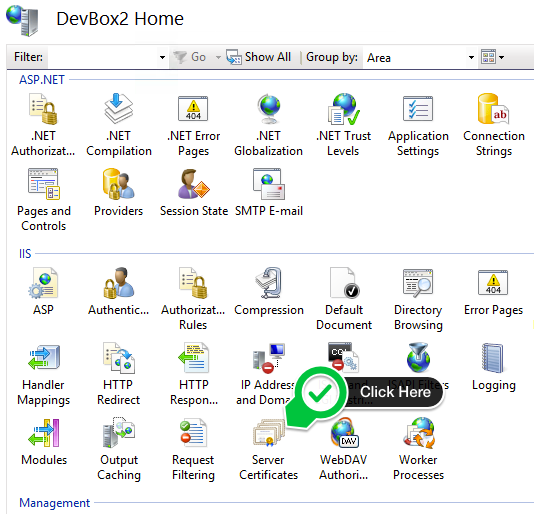 To do this we need to use IIS Manager, select the root machine and select "Server Certificates". 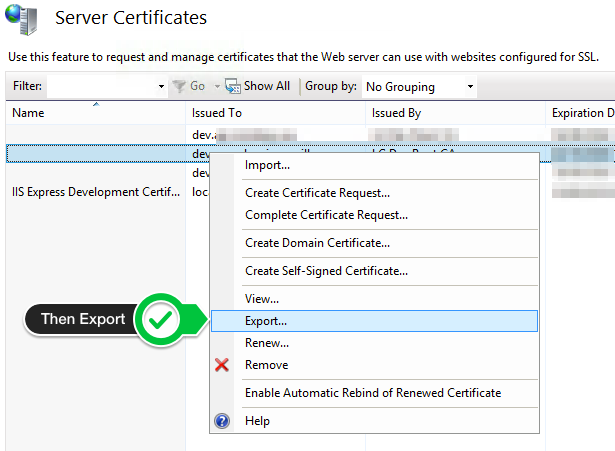 Select the certificate that you want and select "Export". This will create a PFX file. It's this file which we will bully into the correct shape for AWS. The next step is to convert the PFX file that we have into PEM format for AWS. We will also need to extract the certificate into multiple parts - public and private keys along with the chain of all intermediate certificates if necessary. These commands use OpenSSL to translate the PFX file into PEM ready for use. If you don't have it already you can grab OpenSSL for Windows via Shining Light. With the PEM files prepared you need to upload them to AWS. For an SSL certificate to be usable for CloudFront you must upload the certificate to a path beginning with /cloudfront/. We would also recommend that you name your certificate with a Date/Time as well as a useful name. If they don't you may need to revisit the .key.1 files we produced and lift the certificates directly from them and overwrite the PEM files before uploading again. If the upload worked your certificates should now be available for use with Distribution Settings on CloudFront or for ELB.